According to the legend, San Marino was founded by Saint Marinus, who left the island of Alba (present-day Croatia). He escaped from the Diocletianic Persecution of the Christians and settled nearby Monte Titano, a mountain of the Apennines. He built a church there, thus founding a new city and later the state of San Marino. The official day of the foundation of the state is known to be September 3, 301. 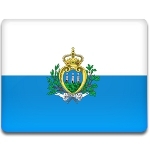 Various events are organized to celebrate Republic Day in San Marino. The day begins with a solemn mass and the relics of Saint Marinus are carried in the procession across the streets of the city. When official celebration end in the afternoon, the festivities assume a more popular nature. People enjoy a crossbow tournament, concerts and popular bingo event.